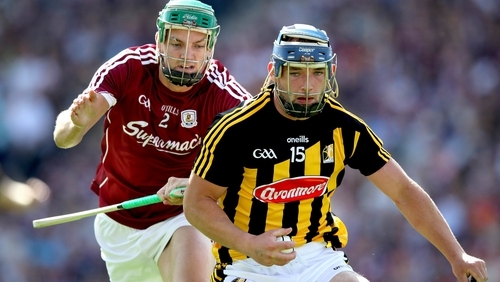 Galway and Kilkenny are in Sydney this week, battling it out for the inaugural Wild Geese Trophy in their roles as the last two Allianz Hurling League champions. Kilkenny forward Ger Aylward is one of the men Down Under and he insists that the nature of the opposition means Sunday's clash will be no ordinary pre-season exhibition. "We were there doing that for a few years and now Galway are doing it," he said of the Tribesmen's provincial dominance over the last two seasons. "We have to get back to the standard where Galway have been for the last two years. "This is the start of the new season in terms of trying to do that and hopefully we can push it on again in 2019. "There'll be no friendlies, we'll be taking it very seriously as they will as well I'm sure. Hopefully we get the win over there and will be back here in two years time as well." Aylward scored a goal in the Leinster final replay defeat to Galway in July and he takes some encouragement from their close battles with Micheál Donoghue's men and eventual All-Ireland champions Limerick. "There's very little between any of the teams. We were very close to Galway in the Leinster Final and gave them a good run in the replay. "We could have pipped Limerick. They did very well to come back and get that point at the end of it that pushed them on. "There's not much between us. If we can just get a little bit extra this year then hopefully we can go all the way." The Glenmore man has had a frustrating time with injuries following a breakthrough season in 2015 that ended with Liam MacCarthy and an All-Star award on the mantelpiece. A cruciate ligament injury in January 2016 was followed by hamstring and shoulder problems that limited his game time but he's now fully fit again and raring to go. "It (2015) was a great season," reflected the 26-year-old. "I'm trying to get back to that now because I haven't been there for the last two years. "The hamstring went straight away the minute I came back. I nearly pulled it off the bone. That was another six weeks out. And then I did my shoulder. It was just all sorts of hardships after coming back from the knee. "Hopefully everything is alright now again. I'm going well and I'm hoping I can stay right for the coming season, touch wood. "I have to focus first on getting my place on the panel and then just drive it on from there. Hopefully this year now I'll be able to get a good run at it again."